This being Madagascar, nobody really noticed much of this, especially since it took several more years for De Laulanié to explain to his own satisfaction why SRI worked. 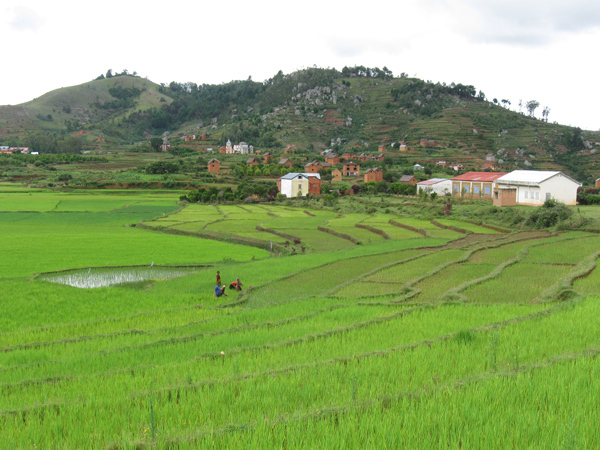 Along with his Malagasy colleagues he set up a foundation called Tefy Saina to spread the word among local farmers, and by the early 90s his system had come to the attention of researchers at Cornell University. 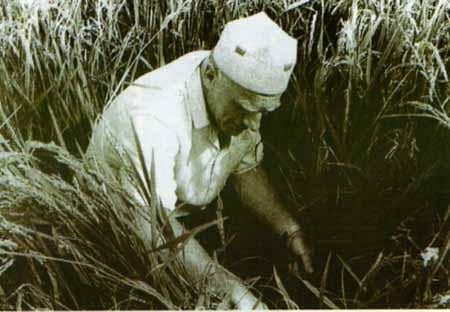 They started to study it more carefully, demonstrating that De Laulanié had stumbled on a remarkable symbiosis – under the right conditions, a beneficial relationship could be created between rice plants and soil micro-organisms. SRI is still regularly dismissed as a primitive pre-industrial method of agriculture, but Cornell’s Norman Uphoff argues that its fusion of traditional tools and applied science is far more advanced than it looks. “Post-modern agriculture” he calls it in Joel Bourne’s book The End of Plenty.